Offering their very own hand crafted beers on tap as well as a light fare menu. The location beautifully overlooks the 2 acre pond and is a 1900's sports theme. 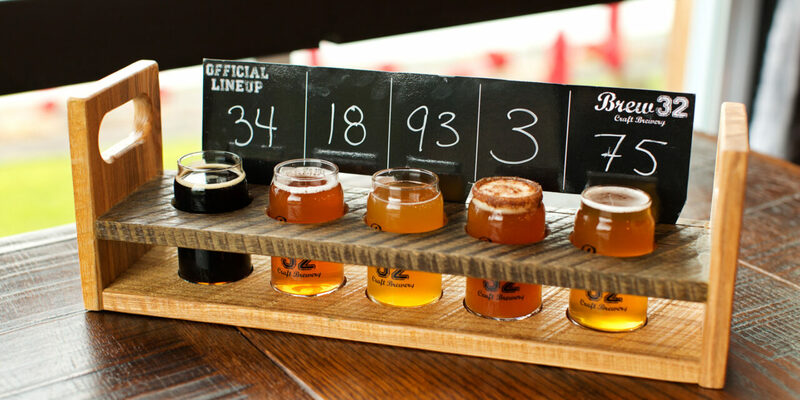 Stop by to take in the history of the locations, a sport's atmosphere from a previous generation, and enjoy handcrafted, specialty beers as you make Brew 32 your next destination!